Coal fired power station in Wales prepares existing chimney for FGD operation by installing PennguardTM linings in brick flues. RWE npower is one of the leading electricity generators in England and Wales. The company has a diversified fleet of power stations, including coal fired, gas fired, and hydro units, as well as wind power. When the European Union created more stringent regulations, requiring all coal fired stations to limit their SO₂ emissions by 2008, RWE npower had to decide on the feasibility and economics of fitting Flue Gas Desulphurization (FGD) to its three large coal firing stations. Based on its studies, RWE npower found that the Aberthaw Power Station near Cardiff, Wales, was a strong candidate for fitting FGD. The station has three 500 MW coal fired boilers. Much of the current firing utilises local Welsh anthracite coal. The station is located on the Bristol Channel, close to the Atlantic Ocean, which opens the possibility of using Sea Water FGD. 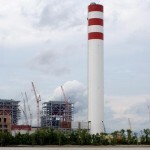 RWE npower decided to pursue the option of Sea Water FGD for all three units. 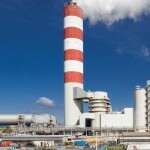 The existing 153 m high concrete chimney of Aberthaw Power Station presented a special concern. 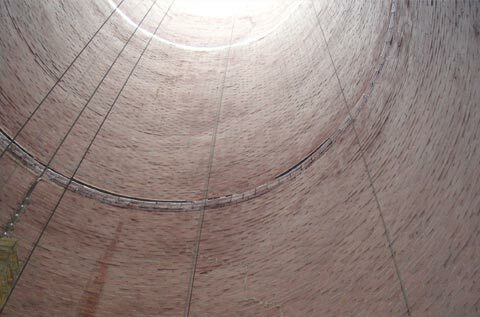 The chimney, which was built in 1964, contained three sectional ceramic brick flues, each with an internal diameter of about 6.9 metres. 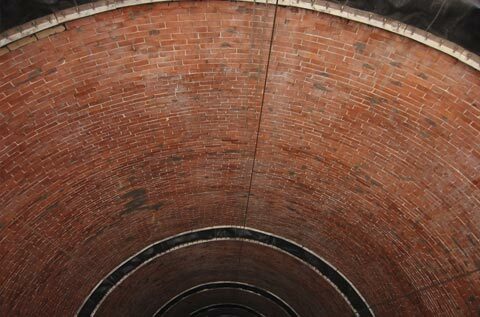 Like the chimney itself, the flues had been in service for almost 40 years, but inspections showed that the brick barrels and the support floors were in good structural condition, despite some general wear and tear. RWE npower decided that the existing chimney should continue to be used after the FGD retrofit, provided that the flues could be protected against the much more aggressive FGD operating conditions. It was decided to prepare the flues for FGD operation by installing the PennguardTM Block Lining System directly onto the existing brick surface. The PennguardTM linings will protect the flues against acidic condensate, as well as thermal cycling and thermal shock. The PennguardTM Block Lining System was installed in the first of the three flues in the summer of 2004. The applications in the second and third flues are planned for 2005 and 2007. After nearly 40 years of continuous service, the three, sectional, brick flues and their concrete support floors are in good structural condition. 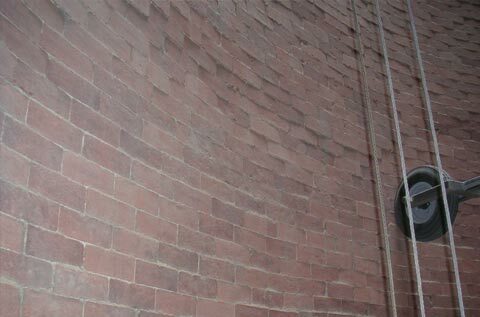 It is normal for brick flues, to show some offsets between individual bricks. The PennguardTM lining system can adapt to most of these offsets, by using a thicker adhesive backjoint, as required. It is also common to find some tight, narrow cracks in the existing brickwork. 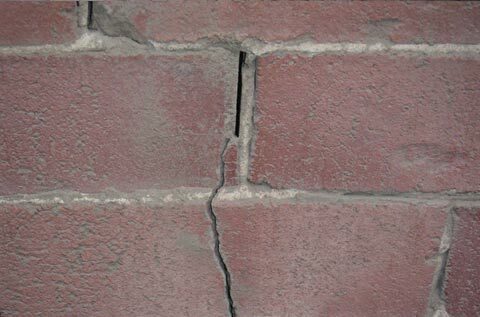 As long as these cracks do not affect the structural stability of the brick, the PennguardTM lining can be applied over the cracks without problem. 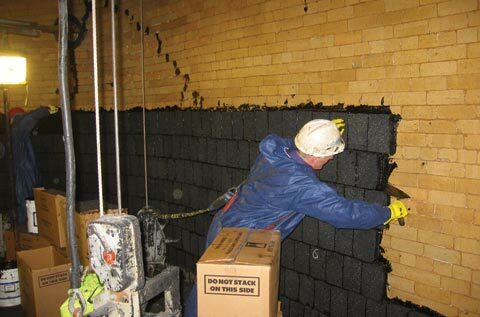 The PennguardTM lining cannot be applied over the transitions between the brick sections. Specially designed, flexible expansion joints will ensure that the brick flue becomes gastight in these areas, as well. The internal surface of the flue is first cleaned by grit blasting. Then, the expansion joints are installed and after this, PenntrowelTM Epoxy Primer is roller-applied to the brick surface. The flue is now ready to receive the PennguardTM lining. The PennguardTM lining is installed by bricklayers. 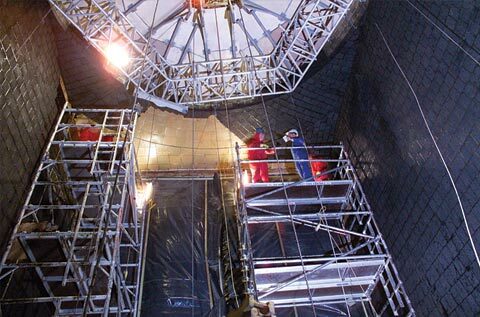 In the Aberthaw Unit 8 flue, the PennguardTM lining was installed by two teams of 5 bricklayers, on a 2 x 10 hours per day work schedule. 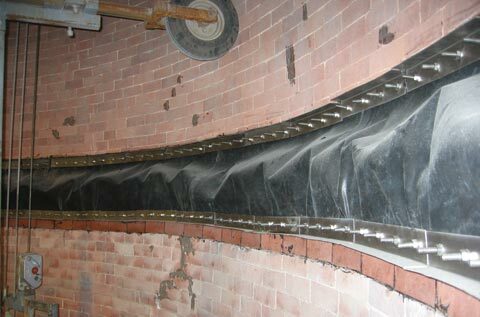 Overview of the flue, following installation of the PennguardTM Block Lining System. The installation of the PennguardTM lining in the main, cylindrical part of the flue took 16 days. The inlet section of the flue is also protected, using the PennguardTM lining system. The PennguardTM Blocks can be easily shaped, to adapt to the specific geometries around the breeching. 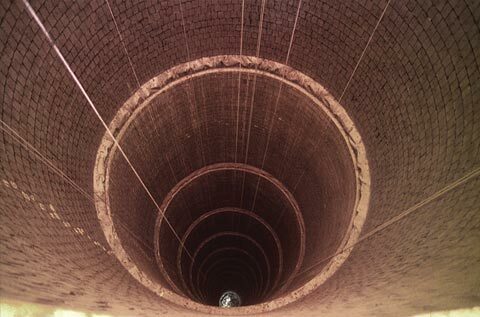 FGD operation creates a number of risks for unprotected brick chimney flues. One of the greatest risks is thermal shock. In many FGD designs, the operation can change over from “FGD mode” to “FGD bypass mode” within seconds, simply by the switch of a damper. The sudden exposure to a much hotter gas stream (or, when switching back to FGD operation, to a much cooler gas stream) creates great stress in a brick flue, which will ultimately result in damaging crack formation. The installation of an insulating PennguardTM lining on the inside of a brick flue will strongly dampen the influence of any temperature changes in the gas stream. As a result, stresses in the brickwork are minimized and the risk of crack formation is virtually eliminated. 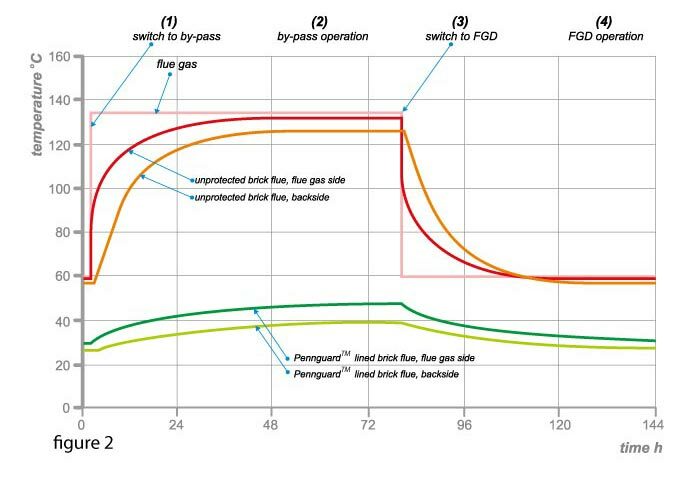 Figure 1 shows the temperatures experienced by a brick flue, when switching from FGD operation to FGD bypass operation and back, both for an unprotected flue (red/orange lines) and a PennguardTM lined brick flue (dark green/light green lines). Note that for the PennguardTM lined flue, the external insulation has been removed, as usually recommended by Hadek. As shown, the temperature of the PennguardTM lined brick flue is much lower and it varies only little with the operating mode. 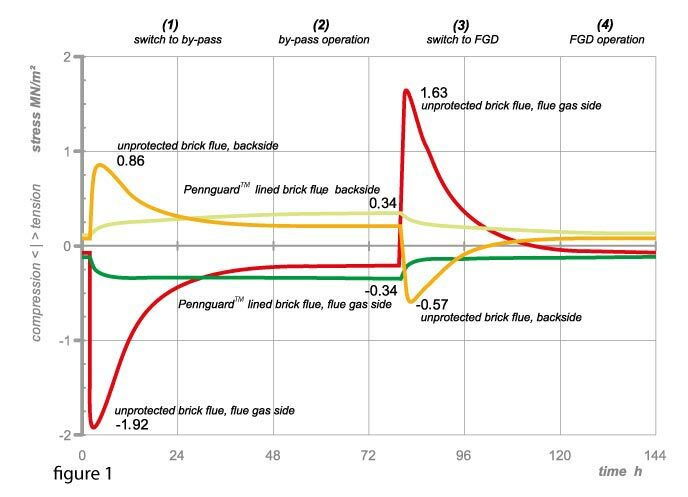 Figure 2 shows that the quick changes in flue gas temperature will result in significant stresses for the unprotected brick flue, whereas the PennguardTM lined flue experiences very little stress at any time.